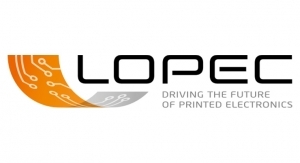 LOPEC 2018 Celebrates 10 Years While Looking Ahead To The Future - The Independent Global Source for the Flexible and Printed Electronics Industry. OE-A's leaders note 'enormous' changes over the years, as new markets like sensors, wearables and more emerge. 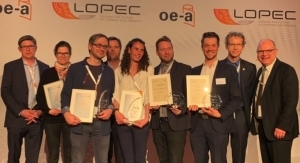 As the 10th annual LOPEC convened on March 14, 2018 at Messe Munchen, the OE-A, the show’s organizers, created a program that offered a look at the latest technologies while also taking a look at the show’s past. It serves as a reminder of how far flexible and printed electronics technology has evolved. Wolfgang Mildner, LOPEC general chair and founder/CEO of MSW, opened the Plenary Session with some insights into the market. 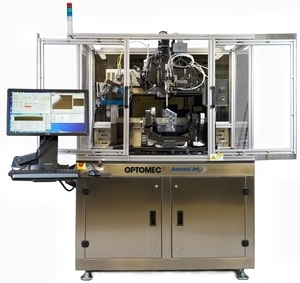 Mildner also noted that there are 183 presentations this year, and that the Demo Line is printing NFC to power LEDs and flexible hybrid systems. “Merck was founded in 1668, and started as a pharmacy,” Dr. Fagerholm said. “Merck built its success on healthcare, life sciences, performance materials. In the 1970s, Merck the first liquid crystals were developed, and it took off in the 1990s. We are also investing on OLEDs and quantum materials, and we continue to look into display technologies such as flexible and foldable.” Dr. Fagerholm added that Merck also produces integrated circuit materials, advanced technologies, pigments and functional materials. 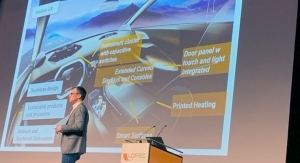 Prof. Dr. Karl Leo of the Technische Universität Dresden (IAPP) discussed “Novel Flexible Organic Devices for ‘Soft-Electronics’ Applications,” with an eye on transplants and other medical procedures. Francesca Rosella, chief creative director and co-founder of CuteCircuit, and Ryan Genz, the company’s CEO, closed the Plenary Session with “CuteCircuit’s Pioneering Work, Transforming Wearable Technology into Fashion - 15 Years of Groundbreaking Fashion Innovation.” CuteCircuit specializes is blending technology in fashion, perhaps most notably for Katy Perry, who appeared in a CuteCircuit lighted dress for American Idol in 2014. One interesting application is the Sound Dress, in which vibrations from music set off sensors that pulse, allowing deaf people to enjoy the sensation of music. “Several deaf people tested the shirt and reported that could feel the music all over their body,” Rosella said. “You are living in the future and you should dress like it,” Rosella concluded. After the Plenary Session, the OE-A and Messe Muchen held a press conference, in which the theme of the past, present and future was explored. 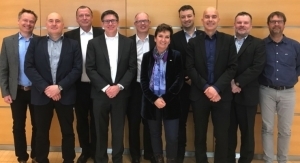 Dr. Martin Lechner, Messe Munchen’s executive director, new technologies, reported that the exhibit space was up 6%. 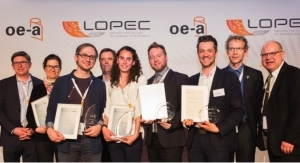 “It is time to celebrate LOPEC’s 10th anniversary,” Dr. Lechner added. OE-A chairman Jeremy Burroughes, CTO at C DT, then discussed how he has seen LOPEC grow over the past 10 years. “The change is enormous, Burroughes said. 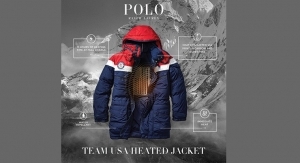 “There has been a move from technology push to market pull. OLED displays are the biggest success stories in PE. 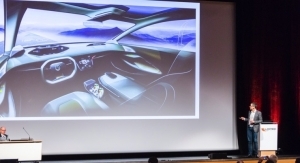 Burroughes offered the example of electronic systems in cars. In 1950, 2% of the cost of the car’s value was electronics, which will grow to half by 2030. Mildner, the LOPEC chair, then offered his thoughts. Moderated by Dan Rogers of Smithers Apex, the panel consisted of Prof. Dr. Ana Claudia Arias of University of California Berkeley; Enid Kivuti, director of innovation and technology at Multek Flexible Circuits; Dr. Juha Virtanen, principal engineer, Wearable Sensors, GE Healthcare;and Axel Steinhage, R&D director for Future-Shape. The panelists discussed some of the opportunities they are seeing. “The trend of medicine and telemedicine is as a way to reach to underserved people who may have to go a long way to see a doctor, and you could attach something to a person and be able to do readings by smartphone or through the cloud,” Kavuti said. “One of most fascinating things is the quantified self – many people today do not mind monitoring their own health,” said Steinhage. The panelists also noted some of the challenges they are facing. “There are multiple challenges, beginning with data security and privacy for medical products, especially for small companies,” Steinhage said. Dr. Arias and Virtanen said that finding manufacturers to produce printed sensors, especially small runs for testing, is difficult. So what does the future hold? The panelists see some interesting possibilities. “Ten years from now, I think we will be talking about inplanted devices and those that are fully integrated with the skin,” Dr. Arias said. Steinhage used the example of the Alexa home system and how it might interact with healthcare. Airbus, Altran highlight closing session with look at role of flexible electronics in the aviation industry. New OE-A board represents the entire value chain of organic and printed electronics. New attendance record at the event featuring speakers from Airbus, Continental, IBM and Polar. 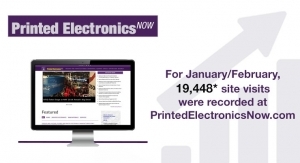 Honors innovative new developments in flexible and printed electronics. 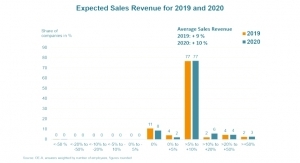 Sales revenue for organic and printed electronics look positive fopr the coming year. 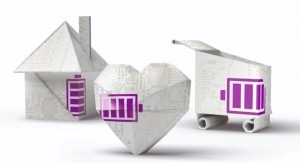 Evonik highlights TAeTTOOz, a new material technology for printable batteries. 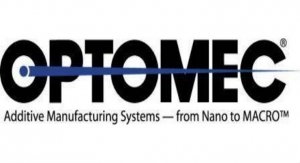 Optomec is in booth #B0-508. Brewer Science added some key offerings to its line of advanced packaging solutions. 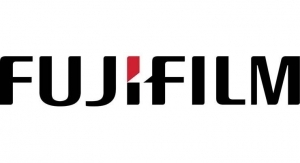 Fujifilm is at booths 402 and 404. Will show Hybrid PS Screen Printing Stencil, NORIPHAN XMR and NORIPHAN HTR N 990 NC.